EpoxAcoat™, Surface Coat Epoxies | Smooth-On, Inc.
Thixotropic epoxy gel coats widely used for hand laminating/ tooling applications. Tough, strong surface coat resins which cure at room temperature offering exceptional abrasion resistance. EpoxAcoat™ RED, EpoxAcoat™ GREY and EpoxAcoat™ WHITE are easy to use, wet out well over a variety of surfaces and will coat vertical surfaces without sagging. EpoxAcoat™ HT offers high heat resistance. 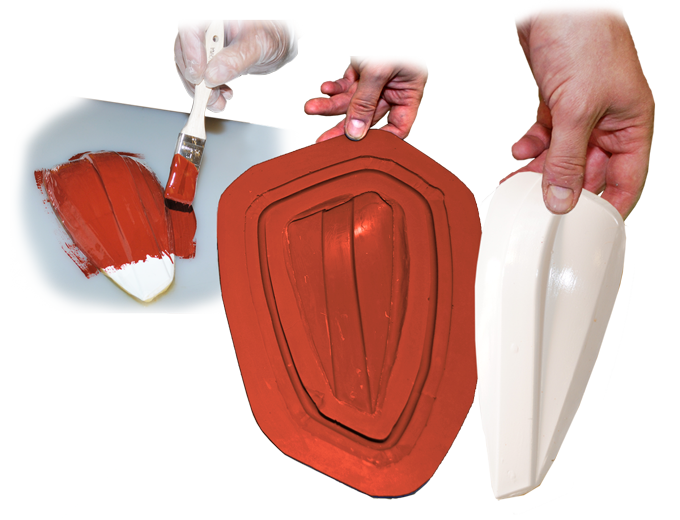 Fiberglass cloth is laminated behind the EpoxAcoat™ surface coat using EpoxAmite™ Laminating Epoxy to produce strong, lightweight tools that have excellent dimensional stability and surface finish. 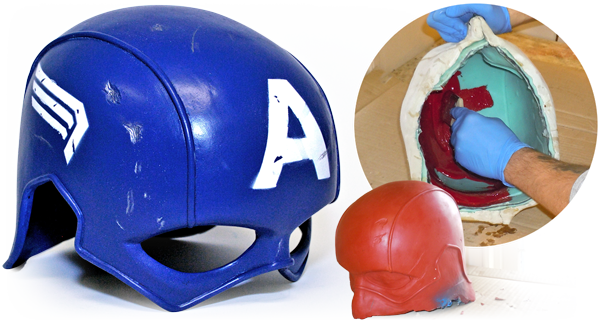 Free Form AIR™ Epoxy Putty can also be used in conjunction with EpoxAcoat™ and EpoxAmite™ to produce tooling to be used in hand lay up or vacuum bagging composite parts. EpoxAcoat™ produces a rigid and paintable surface for making rigid Masters, Patterns, and Props that are dimensionally stable. EpoxAcoat™ RED or GRAY Surface Coat Epoxy can be laminated using layers of EpoxAmite™ Laminating Epoxy and fiberglass, Kevlar, or Carbon Fiber. EpoxAcoat™ HT is a slightly thixotropic epoxy gel coat that offers high heat resistance (284°F / 140°C after Post Curing). 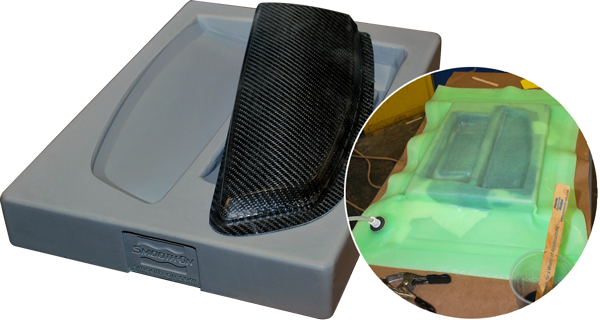 This video demonstrates how vacuum resin infusion is used to make a car seat.